Make it closer, make it farther. It leaves forgotten tools on the brink of envisioned routes. The troops besiege its fate. Through the trail of nights moves forward. No harm in writing? Jonny Steinberg at the University of York. Jonny Steinberg, author, academic in political theory and criminology, and lecturer at the University of Oxford, spoke at final event of the Prison Fictions and Human Rights series on November 16th, 2012. In his lecture ‘The Ethics of Narrative Non-Fiction,’ Steinberg raised some highly thought-provoking issues surrounding the ethics of being a non-narrative fiction writer, drawing from his own experiences of being a writer. Having written several successful, non-fictional accounts of social interactions, troubles and prejudices in South Africa, Steinberg looked back at his past work, answering for the difficulties with which he is now confronted as his career has progressed. The lecture began by addressing the relationship between a writer and their audience – whether this relationship benefits more from truth or spectacle, and whether the occasional merging of fact with fiction in storytelling is ethical in a country like South Africa, where he claims that it is inherently difficult to know the truth at all. On one hand, publishing writers operate within a distinctly capitalist system and must respond to the public’s demand, which he sees as a ferocious hunger for factual, personal information – that the public wants to see where the “subject’s soul is shattered and consciousness crumbles,” referencing a line by Grossman. “I’m very much a product of my times,” he admits. On the other, theoretically unbiased accounts are impossible to produce (as an articulation of author’s voice contains biases of priority and emphasis) and are generally less sensational among the book-buying public. Steinberg was then unable to ignore questioning the degree of responsibility a writer has to his subject both during, and subsequently after, the period of time in which the writer forms his interview – a period that can last months and create emotional ties even between people of extraordinarily different attitudes. What are the writer’s obligations to the meaning of the subject’s responses, as far as it can be construed? And what of economic obligations? Any writer in a similar position has the temptation to err on the side of exploitation, and indeed when a traumatic subject assents to an interview for their own reasons a writer can accept this consent, whether or not the interview will later portray the subject favourably. Any interview is an opinion piece in some way – the questions asked and the portions of answer selected from the transcript, despite often seeming in themselves innocuous, contain a writer’s bias that is further propelled by the contextual information supplied and the subject matter of the surrounding text. The articulations of an interview subject are therefore always contextualised within a wider circle – the inherent bias of interview, the author’s text around it, the language in which it is printed and distributed, and connected to it, the market for the work, which defines the readership. Statistically, a character (factual or fictional) will either please or displease a majority within this defined market. The articulations of the writer, however, are regulated (among such influences as their religious, social and political stances and their writing style) by their emotional attachment to the subject. In some of Steinberg’s accounts, the subjects came out economically or socially worse for the interview, and part of the talk felt to me to be in some sense a confession. When I asked him what he would have done differently with regards to Midlands, an account of a South African farmer whose son had been murdered amongst racial tensions that he wrote a decade previously, he replied, “I’d never choose that story now.” In hindsight, he thought that the negative outcomes of its publication on the farmer were always inevitable – it is a book “impossible without grief” – but that his immaturity and his own desires to write the story had clouded his judgment. It led to more questions – in a society that limits the amount of responsibility held by, say, sufferers of post-traumatic stress disorder, where can a line be drawn if a contract is private and inherently about personal perspectives? Should traumatised persons be protected from interviews by a third-party, or would this simply constitute a gross contravention of civil liberty? Steinberg recounted that the interaction with the subjects created an uneasy bond between them, neither interviewer-interviewee nor human-human. I would speculate that the reason for this is in the nature of the work itself – interviews, which cause a subject to open up themselves to strangers in a way that they normally never would, changes the face of what is otherwise a contractual business relationship. They are further complicated by the fact that Steinberg does not pay some of his subjects for revealing themselves, and particularly if he later pays them royalties out of compassion for their poverty. The relationship becomes personal, and so an unfavourable account constitutes a betrayal. On the whole, however, I got the impression that Steinberg’s work in this field had moved him far away from his initial ambitions, which seem to be, at least in part, using his interviews to narrate greater allegorical generalisations about the politics of his home country. He was humble and penitent for those whom his stories had harmed, but also practical, maintaining that he cannot support a subject indefinitely because of a consensual interview (though he conceded that he did not know quite where it ought to be cut off.) While his work has twice won him The Sunday Times Alan Paton Prize, South Africa’s most prestigious non-fiction award, I felt assured that Steinberg would pursue subjects for his writing more cautiously than he once did, and that he viewed storytelling not as an obligation to society but as a pursuit followed by a writer for various, largely economic, reasons. 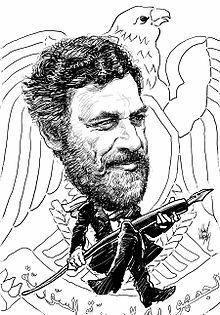 The conscience hereafter dictates what the writer writes – once more, ethics are individual – but it seemed clear that Steinberg had acknowledged responsibility for his words and the effects of his writing. Whether this translates into personal responsibility for the people themselves, or whether these types of account – or indeed any writing – can be written without some degree of harm seems impossible to tell.